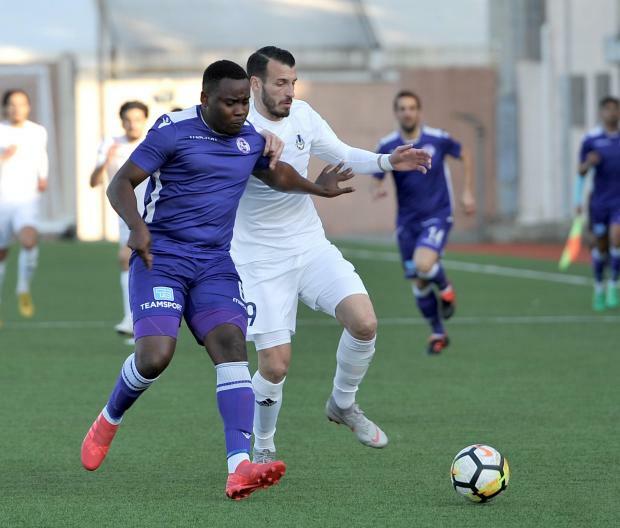 Sliema Wanderers and St Andrews shared the spoils in a 1-1 stalemate at the Centenary Stadium, on Saturday. This was another disappointing result for the Blues as they have now slipped five points behind fourth-placed Ħamrun Spartans. On the other hand, St Andrews will welcome such a precious point, even though their gap within the play-out spot has been cut to just two points. The game could hardly get off to a better start for Sliema when Younes Marzouk hit a thumping volley from a corner that ricocheted onto Kurt Shaw and rolled into the net for the Blues to forge ahead. St Andrews’s only efforts came through Martin Davis, whose shot sailed over the bar and a Joseph Farrugia long-range shot which finished inches wide. The Saints were thrown an opportunity to restore parity when Matthew Woo Ling was tripped inside the area by Jonathan Pearson. From the spot, Davis converted to net his sixth goal of the 2018/2019 campaign. Midway through the second half, neither side was really prompted into any offensive actions with a lot of physical challenges in the middle of the park that was hindering the rhythm of the game. Ten minutes from time, Jacob Walker hit a shot from outside the area with the ball finishing just wide. In the closing stages, Ryan Fenech let fly a wonderful strike from outside the area that forced Calleja Cremona to produce a fantastic save and help his team grind out a point. Younes Marzouk of Sliema Wanderers was named BOV Player of the Match.